We at Cheadle strive to keep your teeth healthy through regular examination, cleanings and preventative treatments. Our goal is to primarily develop a comprehensive treatment plan to resolve dental issues in the early stages so that you will always rest assured of your dental health. We provide a wide range of general dental treatments for the whole family. Cheadle dental advises regular dental exams because they are essential for the detection and prevention of oral diseases. During the dental exam, our staff will inquire about any health problems you have or medications you’re taking in order to ascertain whether or not they have a harmful impact on your oral health. In the cause of a patient having diabetes, for example, they are at increased risk of gum disease. We verify the stability of fillings or other restorations and evaluate your risk of tooth decay, root decay, and gum or bone disease. 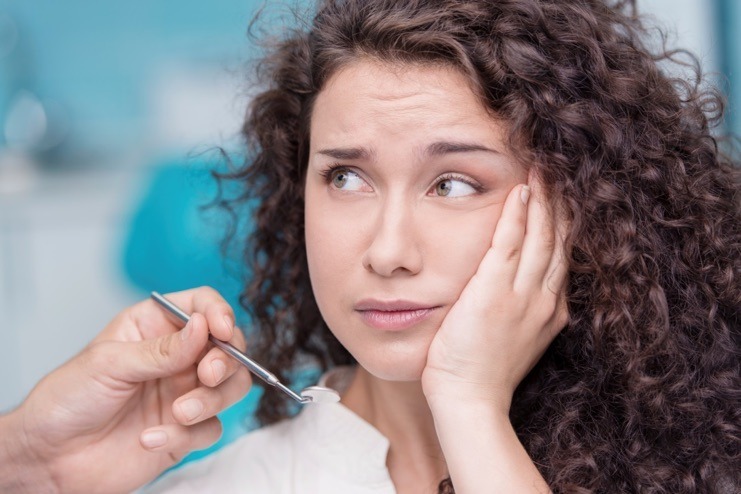 We will evaluate the need for tooth restoration or tooth replacement, and check your bite and jaw for problems. During the dental exam, we will also look for signs of oral cancer in the mouth and throat areas. Regular cleanings help in removing the build-up of plaque and tartar, both of which can lead to cavities and dangerous gum diseases like gingivitis or periodontists. Our hygienists will remove any stains or deposits on your teeth, and provide instruction on proper brushing and flossing. In addition to the cleaning, we can also provide a fluoride treatment to strengthen the tooth enamel against decay and reduce enamel demineralization. At Cheadle, we also have the option to take digital X-rays or perform additional diagnostic procedures to develop a comprehensive treatment plan which we urge you to review with your dentist upon the completion of your checkup. Only with regular exams can our dentists keep your mouth in good shape and monitor conditions in order to prevent them from getting worse or leading to problems elsewhere in your body. Our dentists also provide recommendations for good nutrition and oral hygiene and counselling on special oral health care needs, such as tobacco cessation. At Cheadle, Your assigned general dentist will work with you to develop a customized dental hygiene plan that utilises dental examination, tooth cleaning, possible tooth scaling, X-ray and use of other diagnostic equipment in order to prevent and uncover any tooth related issues. Depending on the case, your dentist may incorporate a variety of restorative procedures in the development of a comprehensive treatment plan. These plans are aimed at helping your dentist prevent decay or disease of the teeth, mouth, gums and tongue General dentists also use restorative dentistry procedures to repair the effects of tooth decay, trauma, defect or disease in these areas of the mouth. Although typically associated with preventive and restorative dentistry, many of our dentists have pursued additional training in order to provide cosmetic dental services such as teeth whitening and porcelain veneers. This will ensure that even the most basic treatment will have a cosmetic touch to it. Emergency appointment from as little as £25! Q: Will I always see the same dentist? A: We will strive to ensure that you always see the same dentist, however there may be occasions when you will need to see one of his or her equally qualified and approachable colleagues. Q: How often should I book check-up appointments with you? A: We recommend booking check-up appointments every six months so that we can detect problems quickly and act on them to prevent them from getting any worse. Q: What happens if I forget an appointment? A:You’re only human, so we will do our best to rearrange it if we can. There may be circumstances when we will be unable to rearrange and/or we will require payment for your missed appointment, but this will be discussed with you at the time. We operate a reminder service via mobile phone to help you remember when you are next due to visit.